Navy Pier is most important historical landmark of Chicago. It is meant for shipping and for recreation / entertainment. 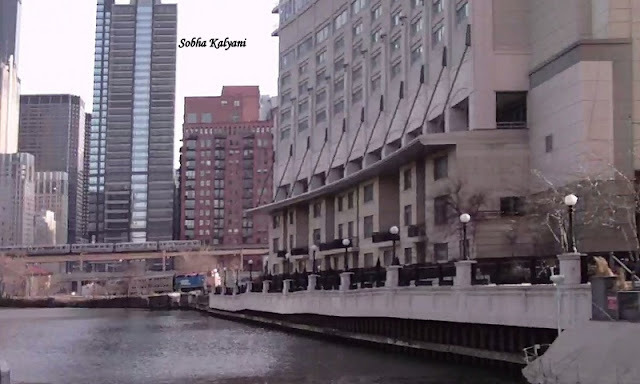 This is the lakefront treasure of Chicago that provides wonderful memorable experiences to the visitors. Navy Pier is the top-visited leisure destination in the mid-west region of the U.S and it provides full entertainment and enjoyment to the visitors. The park is located at 600 East Grand Ave. The best time to visit the pier is summer months of June / July. There is lot to do and enjoy in Navy Pier. The big Centennial Wheel is one of the most enjoyable rides in the pier. It offers spectacular views Chicago Skyline and Lake Michigan. There are various tours / cruise operated by the pier on Lake Michigan. Most of these are a 75-minute Shoreline tours which offer a spectacular architectural view on the shoreline.The cruises depart from Navy Pier and these offer a memorable experience. It is a roofless boat in which tourists are seated comfortably. Tourists can enjoy the spectacular view of Chicago's skyscrapers across the shore of Michigan Lake. 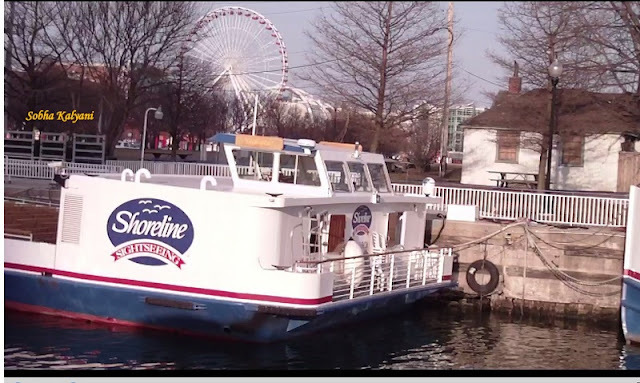 The Navy Pier cruises are guided, so tourists can keep listening to the commentary of the guide while watching the architectural and engineering wonders of Chicago. Some of the prominent ones are the Wrigley's Building, Trump Tower, Tribune tower and many more. Tourists keep watching on either side with awe, taking clicks and videos of the skyscrapers of the beautiful city of Chicago. There is a cash bar in the deck where from tourists can buy refreshments. Time runs so fast that tourists don't even know when the 75-minute boat tour comes to an end. And the boat reaches the end point at Navy Pier where from the Centennial Wheel can be seen. It would be a wonderful experience moving around in the Navy Pier and enjoying the rides / cruises. This is one of the must visit places in Chicago.